These beautiful pendants are the largest loops in our collection of pendants for POSH mothers. Definitely not to be missed! Personalise it for someone special (i.e. yourself!) 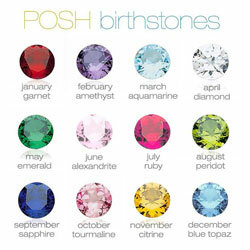 with up to 6 names and add some crystal bling with imitation birthstones! A short message is able to be engraved on the back as an optional extra. Your stunning POSH Mother Pendant not only comes gift-boxed, but with it's own polishing cloth to keep it looking gorgeous! 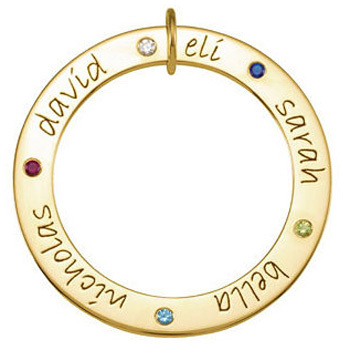 -Displayed cost is for a 14kt gold pendant with 2 birthstones only (additional birthstones and chains are extra).